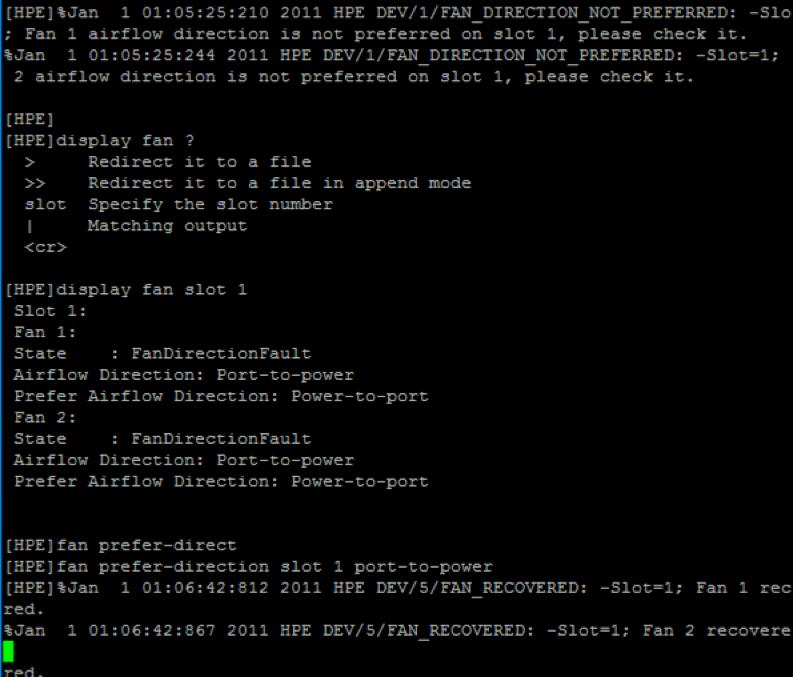 HPE DEV/1/FAN_DIRECTION_NOT_PREFERRED: -Slot; Fan 1 airflow direction is not preferred on slow 1, please check it. This is a pretty common issue if you chose Back-to-Front fans for your build. Below is a screenshot showing the error, the display command and the resolution.